Audio Damage brings ADverb2 to iOS. 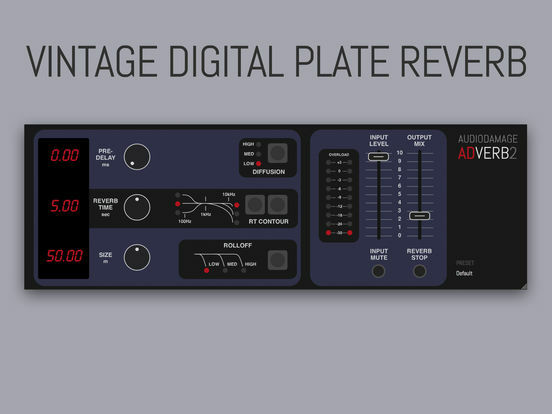 A vintage digital plate reverb rack unit from the 80s, with a few modern tricks up its sleeve. From short, thick, rich reverbs ideal for drums on up to incredibly long heavily chorused, echoey spaces perfect for ambient music, ADverb2 is an excellent addition to your sonic toolkit.